This is the third post in the “Pass the Energy Please” series. Go to our blog to read the others. This post will concentrate on the Glycolytic System (Lactic Acid System). Short duration, Moderate power (in green). So we have paddled explosively from the starters call and are around 10 seconds into the race. We have been using the ATP-PC energy system and it is now depleted. What happens now? Do we run out of energy? Fortunately, NO. 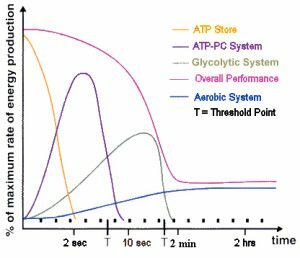 Once we have depleted the ATP-PC energy system, our energy demands shift to the glycolytic system (or Lactic Acid system). It is the “next in line” tool after the ATP-PC system runs its course. This high, extended effort is labeled “fast” glycolysis. Dietary carbohydrates supply glucose that circulates in the blood or is stored as glycogen in the muscles and the liver. Blood glucose and/or stored glycogen is broken down to create ATP through a chemical process called glycolysis. Remember, the aim is to keep producing ATP to activate our muscles. Lactate is formed to remove the acidity from our muscle cells. The lactate is then quickly removed from the muscle cell, protecting the cell from becoming too acidic so exercise can continue for a little longer. So here we have an issue. We are producing lactic acid. Lactic acid causes muscle fatigue and a loss of power. Lactate is there to help us control the acid build up but with intense exercise lactate cannot be removed fast enough. When this happens we cannot continue to exercise at such intensity unless we stop exerting ourselves or reduce the intensity. 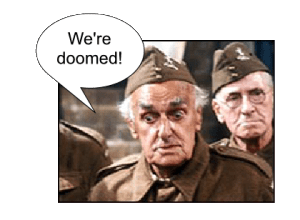 We are doomed, I say – doomed! We CAN teach our muscles to tolerate more before they start to fatigue and lose power. We CAN train our bodies to remove the lactate faster thus delaying the onset of the negative effects. We CAN train our bodies use this energy system to produce ATP faster – producing more power, more acid, more burn, more lactate – woohoo.. Wait! What??? 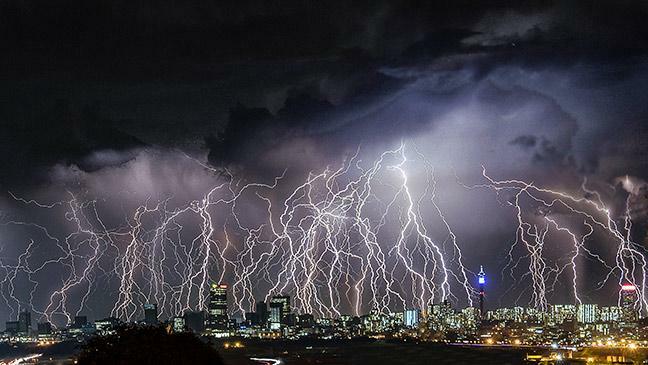 See our next post on how we can train this energy system.